The first day of May calls for a little color. And the blanket flower (Gaillardia) fills the bill. Native to North and South America, it's a member of the sunflower family, Asteraceae. 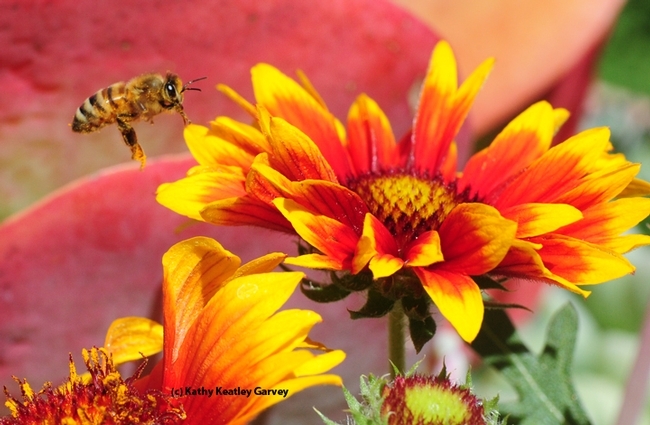 Its delightful yellow and red flowers remind us of the Native American Indian blankets. It was named, however, for Frenchman M. Gaillard de Charentonneau, who is often described as "an 18th century French magistrate, patron of botany, naturalist, amateur botanist, and member of the Académie des Sciences." The blanket flower was among the first flowers planted at the Häagen-Dazs Honey Bee Haven, a half-acre UC Davis bee friendly garden on Bee Biology Road operated by the UC Davis Department of Entomology and Nematology. If you're around Davis on Saturday, May 2, stop at the haven for the fifth anniversary celebration, set from 10 a.m. to 2 p.m. A public ceremony will be held from 10:30 to 11:30 a.m. Michael Parrella, professor and chair of the department, will welcome the crowd at 10:30. 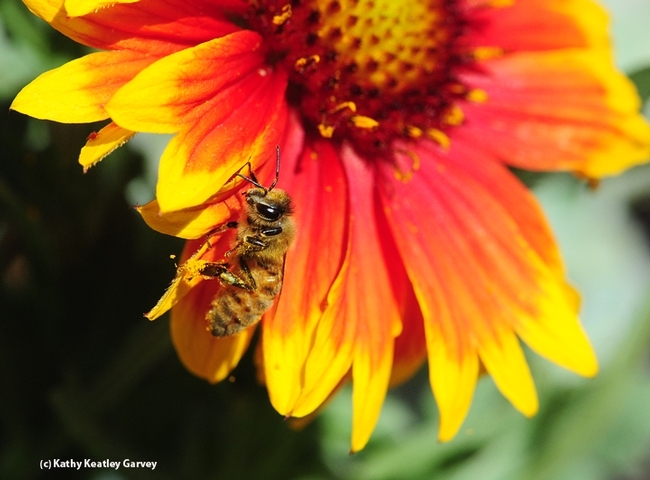 Public events at the haven through 2 p.m. will include discussions on how to observe and identify bees, what to plant to help bees, and how you can help the bees (leafcutter bees and mason bees) by providing bee condos. There also will be beekeeping demonstrations and garden tours. 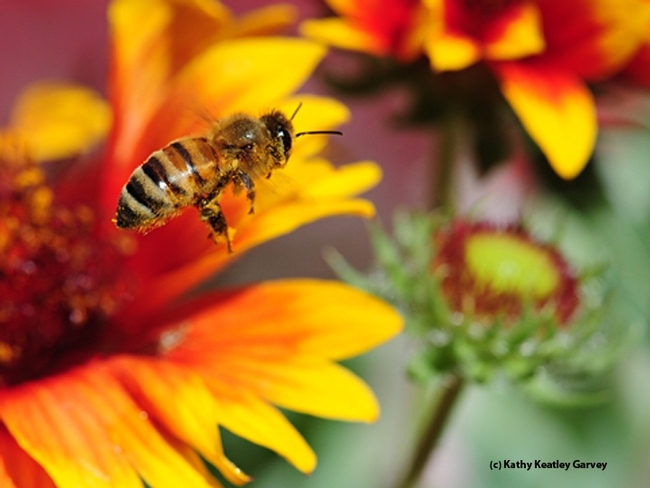 Native pollinator specialist Robbin Thorp, distinguished emeritus professor of entomology, will show the unforgettable male Valley carpenter bee (blond with green eyes), which he fondly calls "the teddy bear bee." It's all warm and fuzzy. And it doesn't sting, because, as Thorp points out, "it's a boy bee." I want a flower that swill grow in the semishade. Is Gallardia a good choice?